The jury is out on whether or not I’ll pick all five sets, as I’m just not that invested in Anakin’s Pod Racer or yet another Snowspeeder. Today’s review is of the Clone Scout Walker, also known in-universe as the AT-RT or All Terrain Recon Transport. 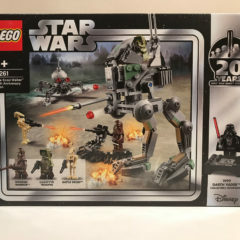 The 2019 set commemorates the set released in 2005, although it borrows heavily from the 2013 501st AT-RT set. There are two bags of bricks and a small sticker sheet. 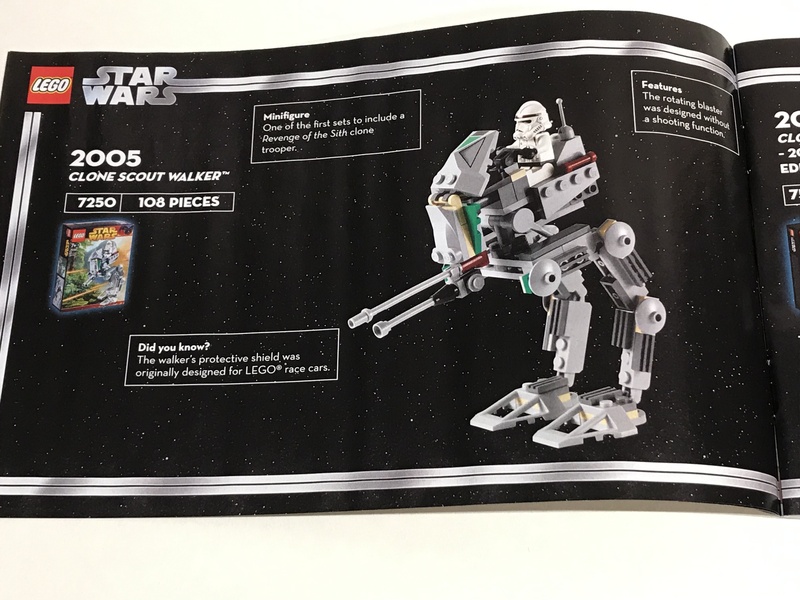 The box and instruction booklet has a nice premium feel to them, and the instructions include pictures and facts of the 2005 set, some info on Vader and the Battle of Kashyyyk, where this set comes from. 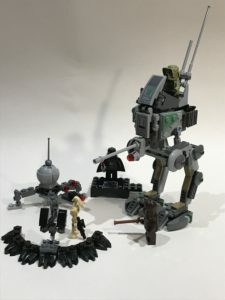 Battle Droid, the Wookie warrior, the Kashyyyk gun emplacement and the Darth Vader figure and stand. These all went together easily and while there were no interesting building techniques used, nothing felt laborious. 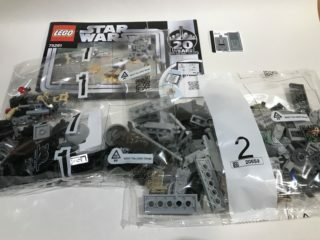 Bag 2 contains the AT-RT and Kashyyyk Scout Trooper. The build for the AT-RT is cool, although if you’ve built the 2013 set, you’ll get major deja vu, as a lot of the build is lifted wholesale. If it ain’t broke, don’t fix it though as you’re building a solid toy. All in the build took maybe half an hour. The set only comes with two stickers, which I didn’t mind too much. I’m not a purist, but I don’t like sets to be sticker heavy either. The printing on the stickers was a little out of alignment. 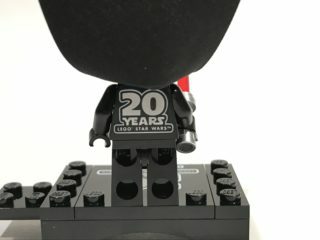 Let’s take the limited edition Vader out of the equation for a moment. Is it a fun set? Yeah. Is it a good collectible set? No. 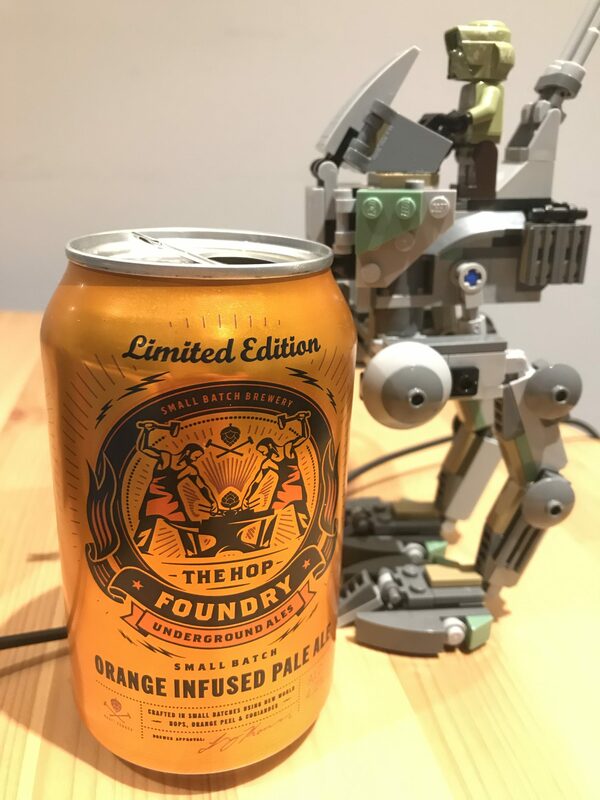 Last year Lego released two Kashyyyk themed sets that both came with new Kashyyyk versions of the battle droid (green body and head printing), so why do we only get a standard beige droid here? 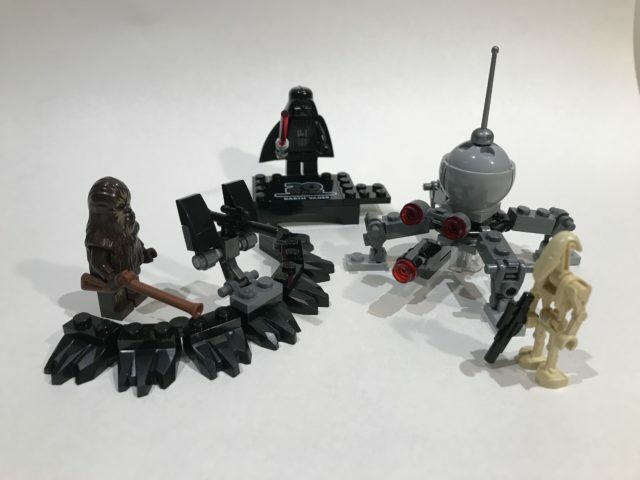 The Spider Droid is cool, but we’ve had the exact same design several times before. The Wookie is cool, but I’m not 100% sure if it’s exclusive to this set. The Scout Trooper was also available in last year’s AT-AP set, which was itself practically a rerelease anyway. Now for the AT-RT, the main build from this set. It looks good, you can’t argue with that, and if you don’t have any of the previous versions then you should get it. However, it’s an awful representation of an actual AT-RT simply because it’s far too big. 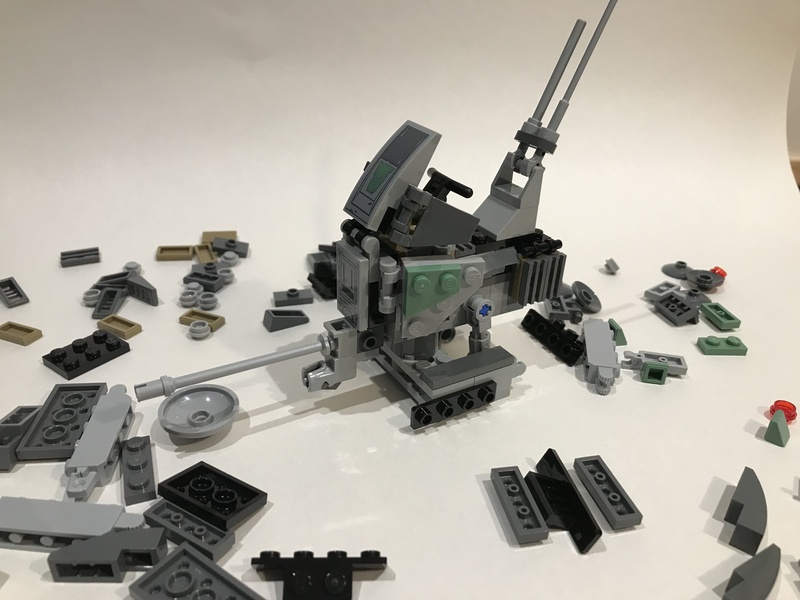 It’s difficult to build an accurate AT-RT in Lego because of how fiddly and unstable it would be. If you watch these in the show (they featured a lot more in the Clone Wars cartoon), they’re supposed to be small, nimble and ridden more like a motorbike with legs. Not like this version, where the poor Scout Trooper has to stand just to see over the windshield. The legs of the vehicle to pose, but barely, so you’re limited as to how you’re going to display the toy. It is sturdy though and has a nicely built-in stud-shooter for extra play value. It also looks cool if you want something just to sit on your desk. The Vader figure is cool, it’s the same as the 1999 version but with a chrome Lightsaber hilt. 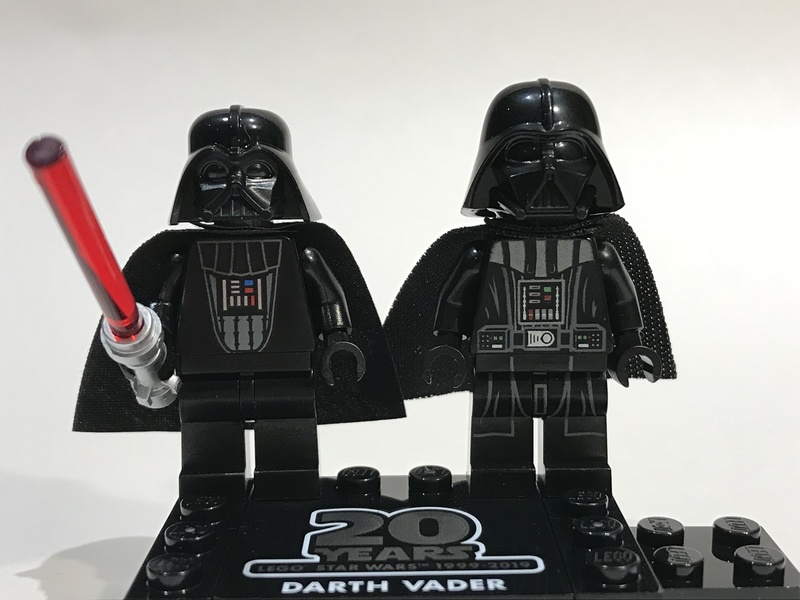 Here he is (left) compared to the latest version of the man in black from last year’s Darth Vader’s Castle set (right). All the commemorative figures have this logo stamped on their backs. It’s not noticeable under the cape though. Despite my above reservations, yes you should. It’s a fun set, it has a cool vehicle and enough goodies and baddies to play out some fun battles. It’s also only $30 (£25) which for 250 pieces is a decent price (you’ve got expect a little price hike for the commemorative figure). It’s also a playset at the end of the day, and while collectors looking for super accuracy will hate it, that’s no reason to not add it to your collection. This isn’t a sponsored review (I wish), I bought this myself and I’m glad I did. This review was fuelled by this beer and Gideon Coe’s BBC Radio 6 show. Both of which were excellent. 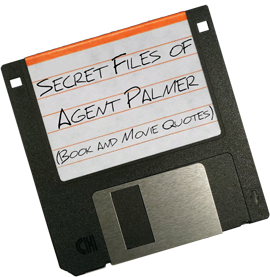 Agent Hunt aka Mike Laybourne (@mikelaybourne) is a British husband and father to two girls. Aside from briefly playing bass in a short-lived band, he’s never had any musical aspirations despite being fortunate enough to live in Manchester; the music capital of the world. He can be found contributing to the4thlinepodcast.com and believes everything sounds better on vinyl. Check out his previous A to Z Playlist or his other Collaborated British Isles A to Z Playlist.